We live in a lovely 3 bedroom house. One queen size bed, one single bunk bed and a single bed. It has a sep bathroom, sep toliet, and sep laundry. Wireless internet, tv and lounge area. Kitchen and dining room are together. We have 3 chickens (29/3/12 - 3 weeks old) - (they live outside). We also have a turtle. Indoor pets and birds are ok.
We live north east of the city, and while we are only 20mins away from the city we are close to parks, and major shopping Centers. 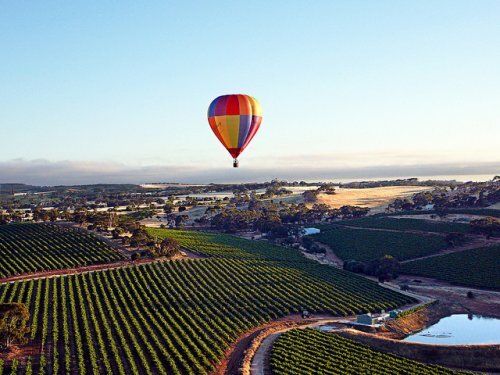 We live 30mins away the barossa valley (wine region) and its only a short 15min drive in your in the Adelaide hills. The area we live is very quite and peaceful with 2 parks only waking distance away. Also a bus stop right at the end of the street. My partner and I have three wonderful daughters aged 3, 5 and 8. I work for Bunnings Warehouse and my partner works for a Holden dealership. We are wishing to take some time out of the busy lifestyle, of school, work, family and after school commitments to enjoy to short holiday somewhere in oz. The girls have never been on a plane and cant wait to see what the rest of Australia has to offer.